This beautifully filmed DVD is the centrepiece of Discipleship Explored: a course of eight 2-hour sessions, each combining a study of Philippians with guided group discussion. Developed by the team behind Christianity Explored, this is the ideal follow-up for new Christians. 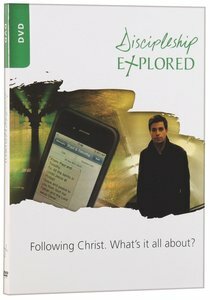 About "Discipleship Explored DVD (Second Edition)"